Venemeelne separatist Donetski lähedal Torezis tankiüksuste mõõduvõtmisvõistlusel. Estonian citizen Vladimir Poljakov, who the Estonian government in December decided to extradite to Ukraine because he allegedly fought in the ranks of separatists in eastern Ukraine, has submitted a notice of appeal to the European Court of Human Rights (ECHR), Interfax reports. The appeal was prepared by the office of MEP Yana Toom in cooperation with the lawyers of the Legal Information Center for Human Rights, Interfax reports. The center has been known to be critical of the situation of human rights in Estonia. According to Interfax, Toom and the center find that the government's decision is at variance with the international law. «We have heard from human rights' organizations that participants of the Donbass conflict are not treated in accordance with international standards at Ukrainian penitentiary institutions. It is very probable that Poljakov would be tortured which would result in irrecoverable ramifications on his life and health. The Ukrainian court system's quality regarding political matters can stand no criticism. No matter what Poljakov is accused of, it is unacceptable that Estonia as a European country makes him face such danger,» Toom was quoted by Interfax as saying. «The Estonian government wasn't able to correctly assess the Ukrainian reality, but there is still a chance to save the country's reputation and not extradite Poljakov,» Toom said. The government decided on Dec. 16 to grant Ukraine's request for the extradition of Estonian national Vladimir Poljakov who stands accused of belonging to a terrorist organization. 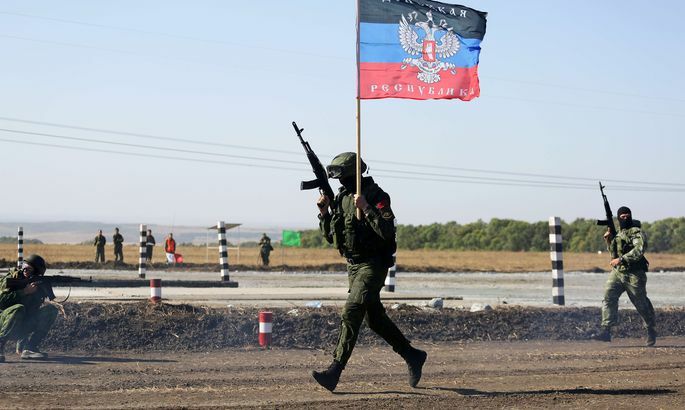 The Ukrainian authorities accuse him of performing duties assigned to him by the military of the so-called Lugansk People's Republic including the guarding of facilities and illegally captured individuals and taking part in battles. The man's lawyer contested the government's decision in the Tallinn administrative court that considered the appeal on Jan. 22 and will announce its ruling on Feb. 3. The Internal Security Service detained Poljakov in February 2015 while he was traveling from Estonia to Russia with the intention of reaching Lugansk from there. The Ukrainian authorities submitted a request for his extradition in summer 2015. The crime of which the man is accused is punishable under both the Ukrainian and the Estonian penal code. The lower-level Harju county court decided on Sept. 22 that it was legally permissible to deliver the suspect to Ukrainian authorities. The man's defense appealed the ruling, but the Tallinn circuit court upheld it and the Supreme Court did not accept the case. The court said that in the course of the proceeding no circumstances came to light which suggest the extradition request was based on Poljakov's political views rather than the crimes described in the request. The Public Prosecutor's Office noted that the court did not deal with the suspect's guilt but solely assessed the permissibility of his extradition. The decision on the extradition of a citizen of Estonia is made by the government and it can be contested in the administrative court.